Alexander Henry Fenwick Armstrong (born 2 March 1970) is an English comedian, actor, television presenter and bass baritone singer, best known as one half of the comedy duo Armstrong and Miller and as host of the BBC TV game show Pointless. Aside from his Armstrong and Miller sketch show characters, Armstrong's television credits include a leading role in the TV series Life Begins, whilst he also voiced Professor M in Tooned, alien supercomputer Mr Smith in the Doctor Who spin-off The Sarah Jane Adventures as well as the main show's two part story "The Stolen Earth" / "Journey's End", and the title character in the revived series of Danger Mouse. Armstrong was educated at Mowden Hall School in Stocksfield, Northumberland and St Mary's Music School in Edinburgh (where he was a chorister at St Mary's Episcopal Cathedral from the ages of 11 to 13) and attended Durham School and Trinity College, Cambridge on music scholarships. He played the piano – which has been alluded to in several The Armstrong and Miller Show sketches – and the cello, the latter of which he dropped in favour of the "much more masculine" oboe. At Cambridge, Armstrong read English and received a third-class degree and sang bass baritone as a choral scholar with the college choir. Armstrong joined the Footlights in his final year as part of the writing team for the 1992 revue and was Spooks creator David Wolstencroft's comedy partner. He was also a member and later head of the Athenaeum Club, brother club to Oxford's Bullingdon Club. Armstrong and Miller co-starred in four series of Armstrong and Miller from 1997 to 2001, while also performing sketches in The Sunday Format. The duo decided to take a break and split for several years to forge their own solo careers. Armstrong renewed his partnership with Miller for the award-winning The Armstrong and Miller Show in 2007. On 1 September 2006, Armstrong was chairman of the short-lived Channel 4 panel show Best of the Worst which featured team captains David Mitchell and Johnny Vaughan. Armstrong presented the short-lived ITV1 quiz series Don't Call Me Stupid, in which mismatched celebrities taught each other a subject they are passionate about, before facing a studio quiz on their new topic. He has been a frequent guest host on the BBC's satirical panel game Have I Got News for You, having appeared 30 times with his most recent appearance as host being on 6 October 2017. Armstrong has, to date, made the most appearances of any guest, whether as host or panellist. On 1 June 2015, Armstrong presented a documentary, Rome's Invisible City, which used 3D scanning technology to discover the underground spaces below the city. Subsequently, it was announced that Armstrong would be making a three-part series exploring the lost and hidden sites of Florence, Naples, and Venice. In 2017, he presented Don't Ask Me Ask Britain and Teach My Pet To Do That, both on ITV. After over a decade in television and comedy, Armstrong returned to his musical roots and put together his own cover band, which plays a wide range of music from jazz to rock to pop classics. A classically trained bass baritone, he is the vocalist and is backed up by Harry the Piano on keyboards, Simon Bates on woodwind, Jeff Lardner on drums and Dave Swift on bass. The band's first tour ran from 19 September to 6 November 2013. Until he started his band, Armstrong mainly sang at his local parish church services or at weddings, away from the public eye. Armstrong impersonated Susan Boyle's Britain's Got Talent rendition of "I Dreamed a Dream" in the show Your Face Sounds Familiar and surprised the judges by singing in falsetto. He sang "Winter Wonderland" during the celebrities Christmas special of Pointless and "No Rhyme for Richard" from Blondel in BBC Two's Tim Rice: A Life in Song and collaborated with The Sixteen to record the single "Good King Wenceslas" to raise funds for the charity Crisis. In December 2017 he joined the long list of celebrities who have narrated Prokofiev's Peter and The Wolf for children. Armstrong's version was recorded under the Warner Classics label with the Royal Liverpool Philharmonic Orchestra. The Thin Blue Line Unnamed Gentleman BBC One S1E6 "Kids Today"
The Sound of Music Live Max Detweiler ITV UK adaptation of The Sound of Music Live! In 2013, Armstrong and Miller appeared in the television advertising campaign for Spitfire Ale. In December 2015, Armstrong was awarded an honorary doctorate from Northumbria University. On 27 August 2003, Armstrong married Hannah Bronwen Snow, a stay-at-home mother; they have four sons. He lives in Oxfordshire. In August 2010, Armstrong was featured in an episode of BBC One's Who Do You Think You Are?, through which he discovered that he was a descendant of William the Conqueror. His father comes from a land-owning family with deep connections to the North East and is a great-grandnephew of Robert Spence Watson and distantly related to William Armstrong, 1st Baron Armstrong. With Armstrong's father's family history already well-known to him, the series traced his mother's side of the family, who were descended from Irish landed gentry. The McCauslands were originally seated in Drenagh, County Londonderry, Northern Ireland and trace their ancestry through the Rouse-Boughton family to Edward Somerset, 2nd Marquess of Worcester (1602/03–1667), a descendant of William the Conqueror via Edward III and the Beauforts, Dukes of Somerset. Edward Somerset's first marriage was to Elizabeth Dormer (d. 1635). Elizabeth's grandfather, Robert Dormer, 1st Baron of Wing (1551–1616), was half-brother to Jane Dormer (1538–1612), later Countess of Feria, and lady-in-waiting to Mary I.
Tracing Edward Somerset's lineage further back reveals him to have been a great-great-grandson of Henry Pole, 1st Baron Montagu - Pole himself being the eldest son of Margaret Pole, Countess of Salisbury. The Countess of Salisbury, beheaded by Henry VIII as the last of the Yorkist line, was daughter to George Plantagenet, Duke of Clarence and Isabel Neville. Isabel was daughter to Warwick the Kingmaker. Margaret Salisbury's father Clarence and his brothers Richard III and Edward IV were sons of Richard Plantagenet, 3rd Duke of York and Cicely Neville, who pursued the Yorkist claim to the English throne in the Wars of the Roses. In an interview with The Independent in March 2012, Armstrong spoke of his support for the Countryside Alliance, saying "I'd like people to be honest about what they don't like about country sports, because if it's actually the people you don't like then I'd much rather they would actually just say that." He has appeared in their advertisements and magazine to promote countryside shooting. He said that his family had traditionally voted for the Liberal Democrats. Armstrong described himself as a "floating voter", stating "I'm not greatly impressed by party politics but I am by individual people. I'm a centrist, and very suspicious of any tribalism." ^ a b Johnston, Jenny (8 August 2014). "Pointless? It's turned our lives upside down! Alexander Armstrong and Richard Osman on what it's like being catapulted to stardom". Daily Mail. Retrieved 25 January 2016. ^ Cooper, Glenda (2 January 2012). "Tough and tender side of the down-to-earth comedian Alexander Armstrong". The Daily Telegraph. ^ "Alexander Henry Fenwick Armstrong". ThePeerage.com. Retrieved 27 October 2017. ^ a b c "A Personal Introduction from Xander & Ben..." The Armstrong and Miller Show. Archived from the original on 11 August 2010. Retrieved 18 August 2010. Alexander attended Mowden Hall Preparatory School in Northumberland where he picked up a lively interest in music and acting. So much so that he transferred at the age of 11 to St Mary's Music School in Edinburgh where he specialised in singing and playing the piano, the cello, and the giddy goat. He proceeded to Durham school on a music scholarship where he dropped the Cello in favour of the much more masculine Oboe but continued to hone his love of showing off. ^ a b c Farndale, Nigel (17 July 2011). "Alexander Armstrong: can't curb his enthusiasm". The Daily Telegraph. Retrieved 25 January 2016. ^ a b c Gilbert, Gerard (10 March 2012). "Pedigree Chum: Is Alexander Armstrong the poshest man in comedy?". The Independent. Retrieved 29 January 2016. ^ a b Cooper, Charlie (8 February 2013). "My Secret Life: Alexander Armstrong, 42, comedian". The Independent. Retrieved 25 January 2016. ^ Petty, Moira (13 August 2010). "Camilla's delightful so I have to stick up for her: Alexander Armstrong on why there's one public figure he won't ridicule". MailOnline. London. Archived from the original on 16 August 2010. Retrieved 18 August 2010. Even at public school, Alexander Armstrong found himself accused of being posh. 'I was unlike everyone else at Durham School. It was like a country club for the children of rich, Northern industrialists, so an awful lot of big hairstyles on high stiletto heels climbed out of sports cars. ^ "Durham". Guide to Independent Schools. Archived from the original on 31 May 2016. Retrieved 30 January 2016. ^ "Armstrong upset over TV quiz job". BBC News. 14 March 2005. Retrieved 29 January 2016. ^ Irvine, Chris (17 October 2008). "Alexander Armstrong 'accepted job as new Countdown host'". The Daily Telegraph. London. Archived from the original on 24 May 2010. Retrieved 23 April 2010. ^ Rajan, Amol (31 October 2008). "Armstrong turns down 'Countdown' job". The Independent. London. Retrieved 23 April 2010. ^ "Alexander Armstrong wins Prize role". The Sun. 10 July 2012. ^ a b "Alexander Armstrong and Rochelle Humes to host BBC One's Frank Sinatra: Our Way". BBC. 2014. Retrieved 29 January 2016. ^ "Rome's Invisible City". BBC One. Retrieved 29 January 2016. ^ "Alexander Armstrong to reveal Italy's Invisible Cities". Radio Times. 26 August 2015. Retrieved 29 January 2016. ^ a b "Alexander Armstrong In The Land Of The Midnight Sun". ITV Press Centre. 30 September 2015. Retrieved 29 January 2016. ^ "Alexander Armstrong". Archived from the original on 19 February 2016. Retrieved 30 January 2016. ^ "Meet Harry the Piano". Classic FM. Retrieved 29 January 2016. ^ Shilling, Jane (29 October 2013). "Alexander Armstrong and his Band Celebrate the Great British Songbook, St James's Theatre, review". The Daily Telegraph. Retrieved 29 January 2016. ^ MacAlister, Katherine (31 October 2013). "Comic Alexander Armstrong is in fine voice". The Oxford Times. Retrieved 29 January 2016. ^ "Your Face Sounds Familiar: Natalie wins but Alexander steals show as Subo". STV. 5 August 2013. Retrieved 29 January 2016. ^ "Tim Rice: A Life in Song". BBC. 25 December 2014. ^ "Alexander Armstrong joins The Sixteen for Good King Wenceslas charity single". Classif FM. 8 December 2014. Retrieved 29 January 2016. ^ Weinberg, Rob (22 September 2014). "Katherine Jenkins and Alexander Armstrong join Classic FM's weekend lineup". Classic FM. Retrieved 29 January 2016. ^ "About Alexander Armstrong". Classic FM. 29 January 2016. ^ "VE Day 70 – A Party to Remember". BBC. 31 May 2015. Retrieved 29 January 2016. ^ "Songs of Praise - Tribute to a Queen - The Big Sing". BBC. 20 September 2015. Retrieved 29 January 2016. ^ Saunder, Tristram Fane (13 November 2015). "Comedian Alexander Armstrong tops the classical charts". The Telegraph. Retrieved 29 January 2016. ^ BWW News Desk (16 September 2015). "Alexander Armstrong Releases Album, Announces Tour". BroadwayWorld.com. ^ Frost, Vicky (21 September 2011). "Cast for Doctor Who Christmas special unwrapped". The Guardian. Retrieved 22 September 2011. ^ "Hacks". British Comedy Guide. 1 January 2012. Retrieved 27 March 2013. Satire on the phone-hacking scandal set at a fictional newspaper where "any means necessary" doesn't begin to cover it. ^ "Hey Duggee". BBC. Archived from the original on 5 January 2015. ^ "Danger Mouse is Live at Butlin's in 2017". Butlins. Retrieved 27 October 2017. ^ "Alexander Armstrong's post-apocalyptic comedy". ITV. 7 January 2015. Retrieved 30 January 2016. ^ "The Sound of Music Live! ITV to broadcast live version of the classic musical this Christmas". ITV News. 23 October 2015. Retrieved 29 January 2016. ^ "The 12 Drinks of Christmas". BBC Two. 17 December 2014. Retrieved 29 January 2016. ^ "Alexander Armstrong's Real Ripping Yarns". BBC Four. 20 November 2015. Retrieved 29 January 2016. ^ "Italy's Invisible Cities". BBC. Retrieved 5 March 2017. ^ "ITV picks up Plimsoll's "Teach My Pet To Do That"". realscreen.com. Retrieved 27 October 2017. ^ "Private Passions". BBC. 26 August 2007. Retrieved 27 March 2013. ^ "Alexander Armstrong". Official Charts. Retrieved 25 January 2016. ^ "Certified Awards" (enter "Alexander Armstrong" into the "Keywords" box, then select "Search"). British Phonographic Industry. Retrieved 23 December 2015. ^ Kemp, Ed (26 June 2009). "Pimm's drops comedian Alexander Armstrong after seven years". Marketing Magazine. Haymarket. Retrieved 27 March 2013. ^ Paton, Maureen (19 July 2009). "In a Taxi with Ben Miller". The Mail on Sunday. p. 49. ^ "Spitfire Announces Armstrong & Miller Partnership". Shepheard Neame. 1 March 2013. Retrieved 29 January 2016. ^ Hill, Laura (7 December 2015). "North East TV stars join graduates at Northumbria University receiving honorary degrees". Evening Chronicle. Retrieved 27 October 2017. ^ Kearney, Tony (8 December 2015). "University honours for Jeremy Paxman and Alexander Armstrong". The Northern Echo. Retrieved 27 October 2017. ^ "Life is sweet for Alex". Manchester Evening News. 14 February 2005. Retrieved 29 January 2016. ^ Daly, Claire (4 September 2007). "The 5-minute Interview: Alexander Armstrong, Comedian and presenter". The Independent. London. Retrieved 23 April 2010. ^ Potter, Laura (1 February 2009). "My body & soul: Alexander Armstrong". The Guardian. London. Retrieved 23 April 2010. ^ Taylor, Jeremy (1 November 2013). "A walk with the FT: The Bledington route". Financial Times. Retrieved 25 January 2016. ^ "Alexander Armstrong". Who Do You Think You Are? Magazine. BBC. Archived from the original on 29 August 2010. Retrieved 24 August 2010. ^ "Giles Coren - Tatler". Tatler. Archived from the original on 20 October 2013. Retrieved 17 December 2014. ^ Ellie Austin. "Back in Time for Dinner: Food critic Giles Coren on his new BBC2 series, fad diets, and why the government should get involved in the obesity problem - Page 2". RadioTimes. Retrieved 3 October 2015. ^ "The 12 Drinks of Christmas - BBC Two". BBC. Retrieved 3 April 2018. ^ "Lit & Phil Appeal". The Literary & Philosophical Society. 7 February 2011. Retrieved 22 May 2012. ^ "Patrons". Family Links. Retrieved 29 January 2016. ^ "Who's Who". Charlie Waller Memorial Trust. Retrieved 29 January 2016. ^ "'Pointless' Host - Alexander Armstrong - is New Patron of Just a Drop". Just A Drop. 6 March 2014. Archived from the original on 21 February 2016. Retrieved 29 January 2016. 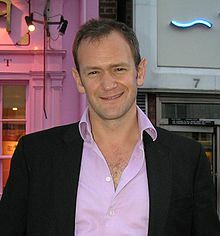 Wikimedia Commons has media related to Alexander Armstrong.